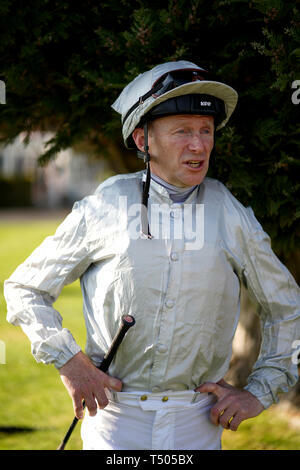 Joe Fanning, jockey during All Weather Championships Finals Day at Lingfield Park Racecourse. 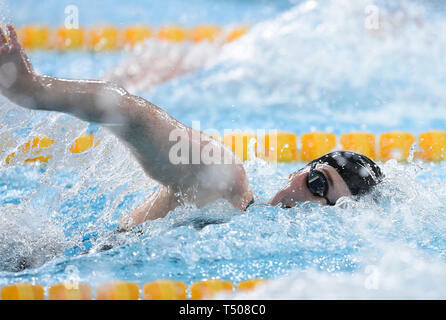 Freya Anderson competing in the Women's 100m Freestyle final during day four of the 2019 British Swimming Championships at Tollcross International Swimming Centre, Glasgow. 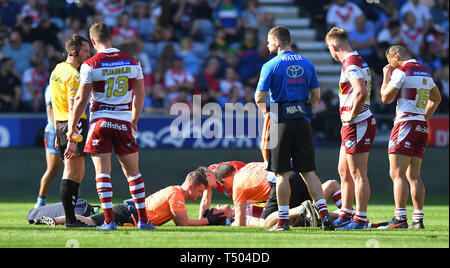 Wigan Warriors' Jake Shorrocks lies injured during the Betfred Super League match at the DW Stadium, Wigan. 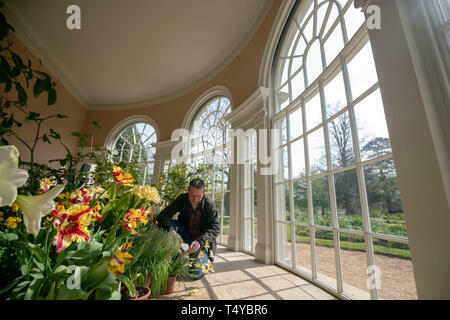 Head Gardner Andy Eddy works in the newly-restored Garden House at National Trust's Osterley Park and House in Isleworth, west London. 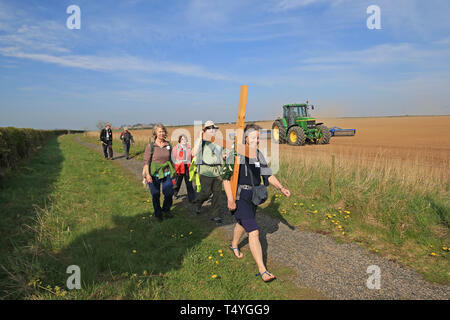 Pilgrims carrying crosses to the Holy Island of Lindisfarne in Northumberland during the annual Christian Easter pilgrimage on Good Friday. 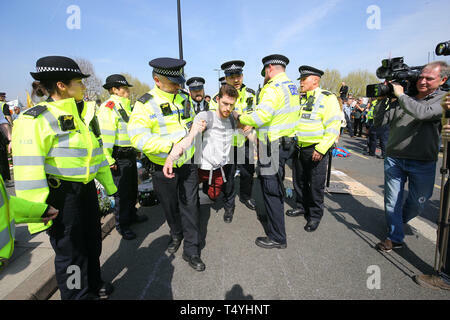 An Extinction Rebellion demonstrator is carried away by police on Waterloo Bridge in London. 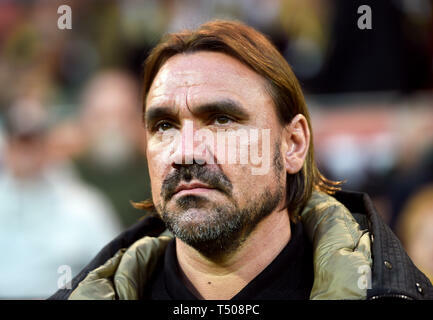 Norwich City manager Daniel Farke during the Sky Bet Championship match at Carrow Road, Norwich. 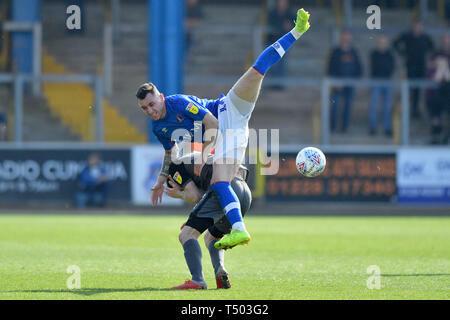 Carlisle United's Nathan Thomas and Lincoln City's Tom Prett compete for a header during the Sky Bet Championship match at Brunton Park, Carlisle. 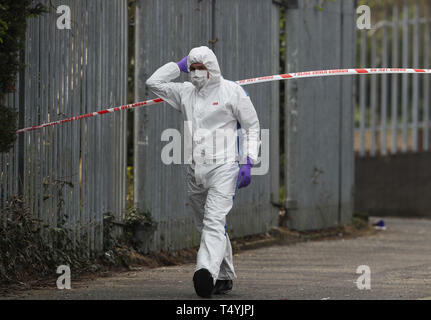 Derby County manager Frank Lampard during the Sky Bet Championship match at St Andrew's Trillion Trophy Stadium, Birmingham. 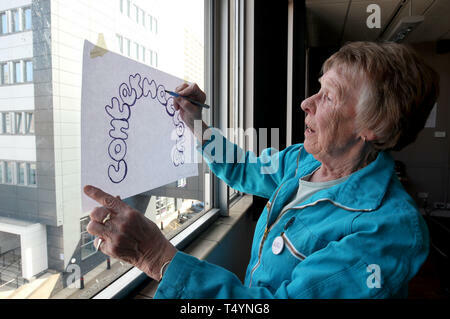 Rosemary Murray, aged 77, one of the 'Graffiti Grannies' that took part in an over-65s street-art workshop at this year's Nuart Aberdeen Festival. 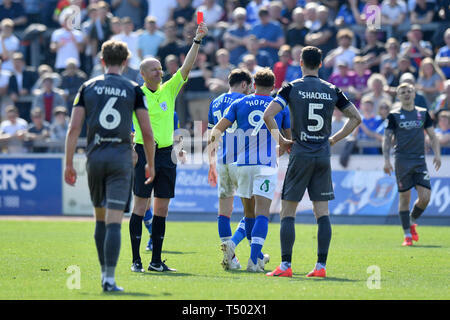 Lincoln City's captain Jason Shackell is sent off by Match referee Lee Mason during the Sky Bet Championship match at Brunton Park, Carlisle. 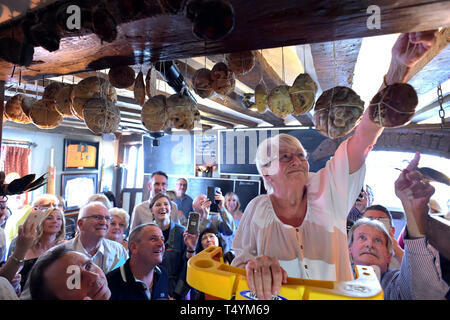 Pub employee Margaret Utteridge, 74, who has worked at The Bell Inn, High Road, Horndon-on-the Hill, Essex since 1984, hangs a hot cross bun from a beam which has been a tradition at the inn since 1906. 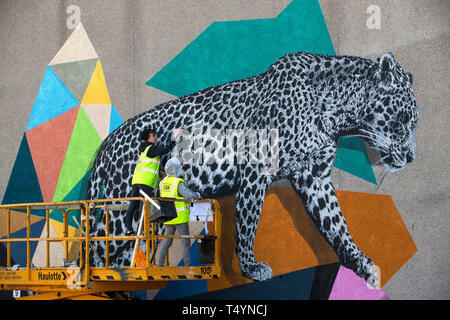 Artists Katie Gutherie (left) and Hama Woods create a mural at this year's Nuart Aberdeen Festival. 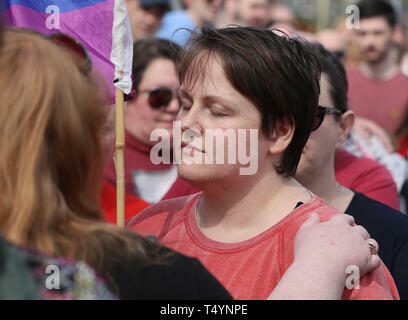 Sara, the partner of 29-year-old journalist Lyra McKee at a rally in Londonderry, Northern Ireland, following her death last night after guns were fired and petrol bombs were thrown in what police are treating as a 'terrorist incident'. 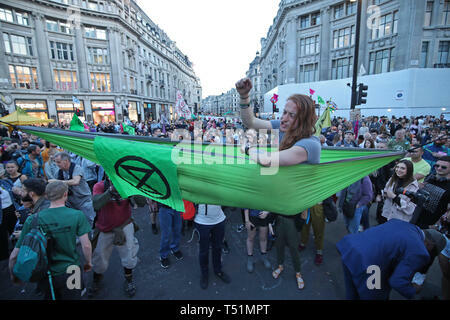 Extinction Rebellion demonstrators at Oxford Circus in London. 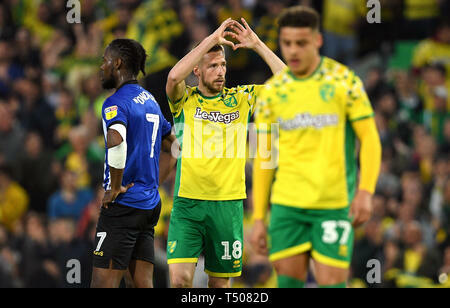 Norwich City's Marco Stiepermann (centre) celebrates scoring his side's first goal of the game during the Sky Bet Championship match at Carrow Road, Norwich. 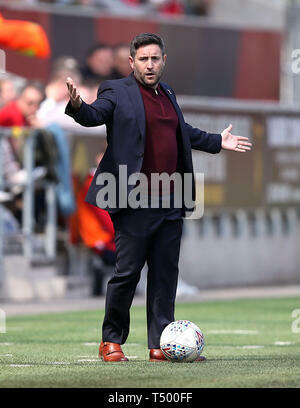 Bristol City manager Lee Johnson gestures on the touchline during the Sky Bet Championship match at Ashton Gate Stadium, Bristol. 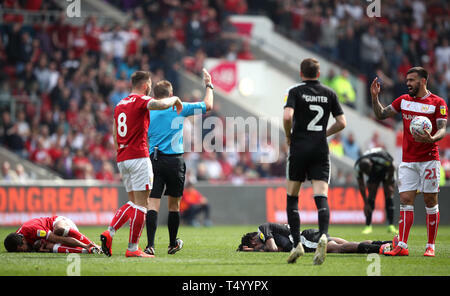 Bristol City's Korey Smith (left) lies injured after clashing with Reading's Ovie Ejaria (right) before being stretchered off during the Sky Bet Championship match at Ashton Gate Stadium, Bristol. 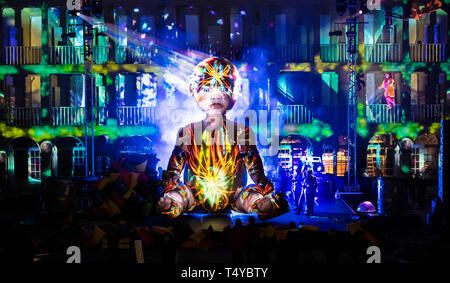 Wigan Warriors' Tom Davies is tackled by St Helens' Regan Grace and Jonny Lomax during the Betfred Super League match at the DW Stadium, Wigan. 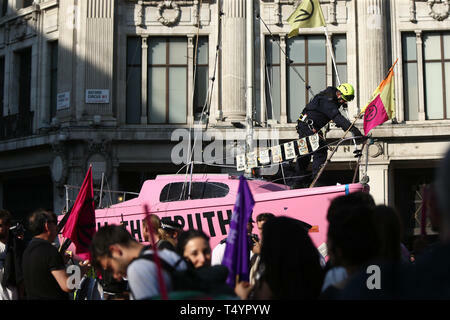 Police take control of Extinction Rebellion's 'Tell the Truth' boat, as protests continue at Oxford Circus in London. 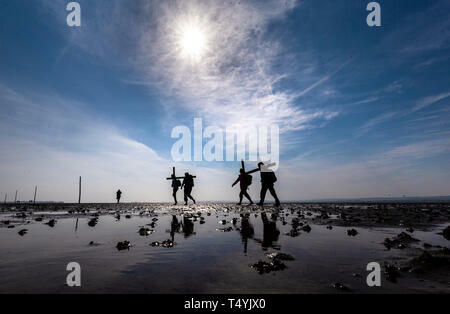 Sheffield United's Enda Stevens scores his side's second goal of the game during the Sky Bet Championship match at Bramall Lane, Sheffield. 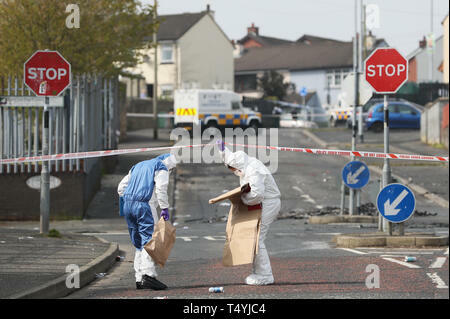 Police forensic officers at the scene in Londonderry, Northern Ireland, where 29-year-old journalist Lyra McKee was shot and killed when guns were fired and petrol bombs were thrown in what police are treating as a 'terrorist incident'. 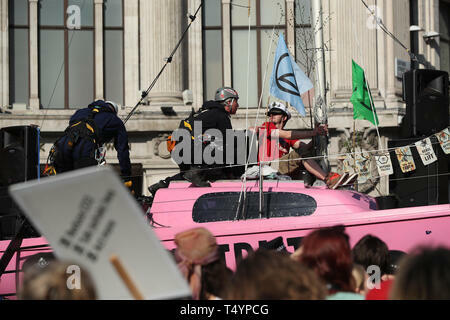 Extinction Rebellion demonstrators on Waterloo Bridge in London. 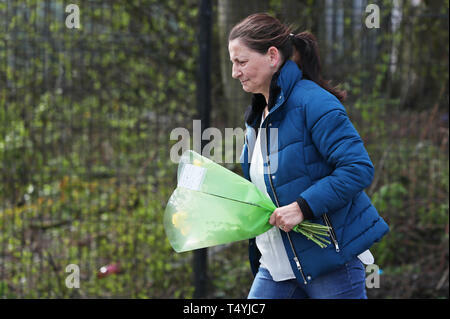 Lincoln City manager Danny Cowley reacts as Lincoln City's captain Jason Shackell is sent off by Match referee Lee Mason during the Sky Bet Championship match at Brunton Park, Carlisle. 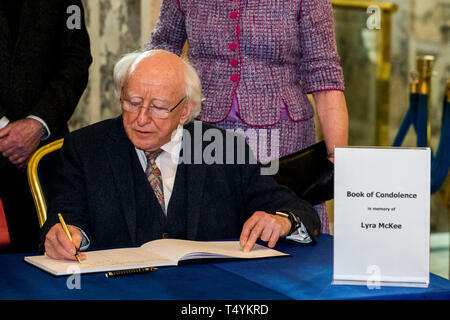 Irish President Michael D. Higgins signing the book of condolence at Belfast City Hall in remembrance of murdered journalist Lyra McKee. 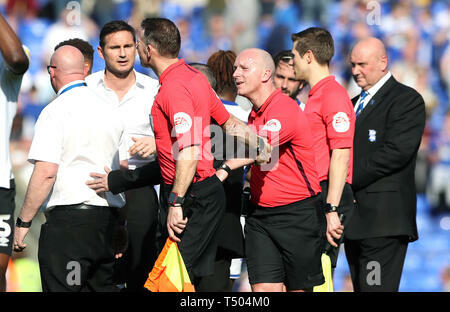 A match official pulls referee Simon Hooper away from Derby County manager Frank Lampard (second left) after exchanging words following the Sky Bet Championship match at St Andrew's Trillion Trophy Stadium, Birmingham. 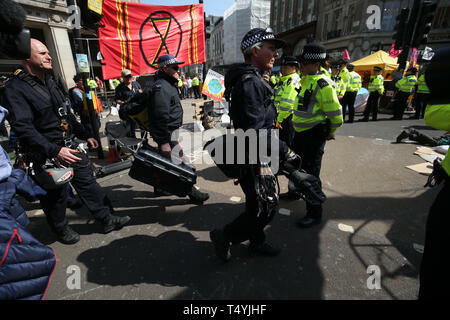 Police arrive carrying equipment as Extinction Rebellion protests continue in Oxford Circus, London. 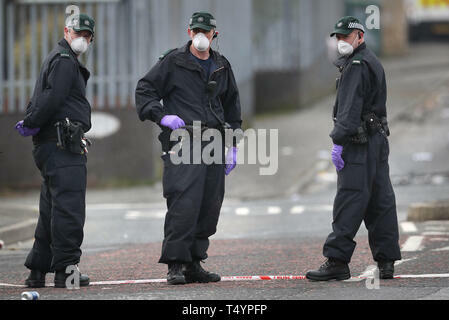 Police at the scene in Londonderry, Northern Ireland, where 29-year-old journalist Lyra McKee was shot and killed when guns were fired and petrol bombs were thrown in what police are treating as a 'terrorist incident'. 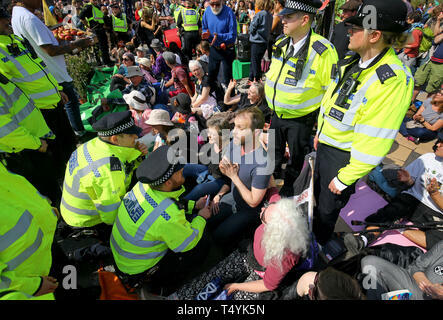 Police with Extinction Rebellion demonstrators at Oxford Circus in London. 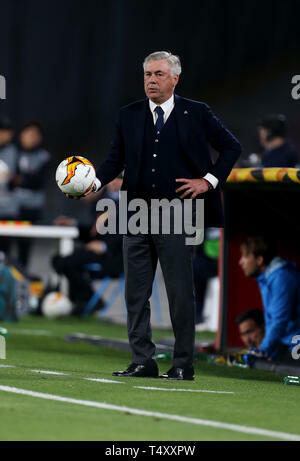 Napoli manager Carlo Ancelotti on the touchline during the UEFA Europa League quarter final second leg match at the San Paolo Stadium, Naples. 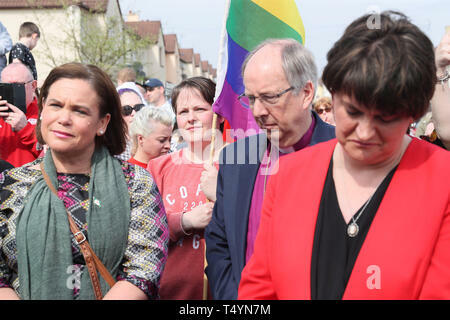 Sinn Fein Leader Mary Lou McDonald (left) with DUP leader Arlene Foster (right) at a vigil in Londonderry, Northern Ireland, following the death of 29-year-old journalist Lyra McKee last night after guns were fired and petrol bombs were thrown in what police are treating as a 'terrorist incident'. 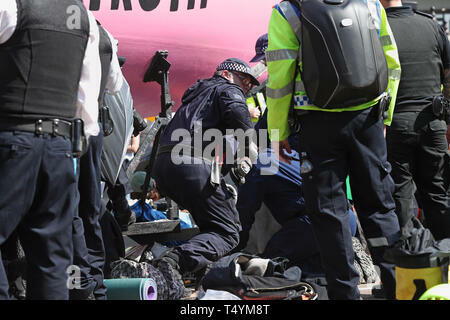 Undated file photo of a man drilling. 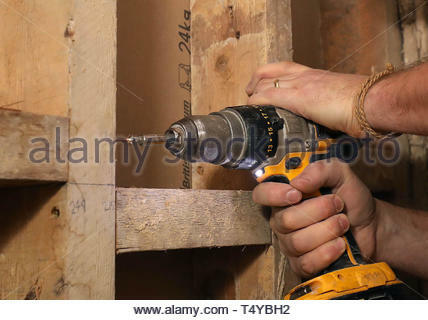 DIY-lovers are being urged to take care this bank holiday weekend as new figures show a rise in accidents caused by power tools. 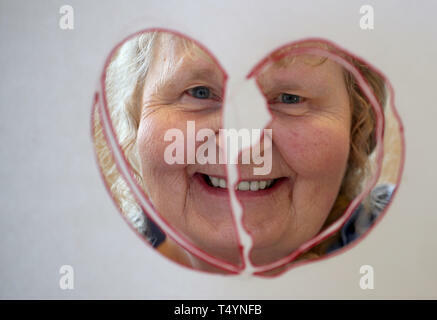 James Wilby after winning his heat of the Men's 200 Breaststroke during day four of the 2019 British Swimming Championships at Tollcross International Swimming Centre, Glasgow. 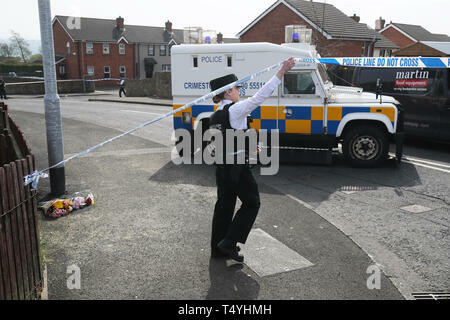 A police officer at the scene in Londonderry, Northern Ireland, where 29-year-old journalist Lyra McKee was shot and killed when guns were fired and petrol bombs were thrown in what police are treating as a 'terrorist incident'. 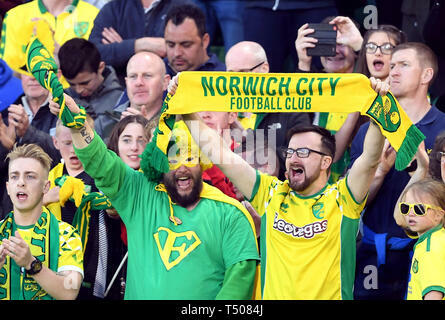 Norwich City fans in fine voice during the Sky Bet Championship match at Carrow Road, Norwich. 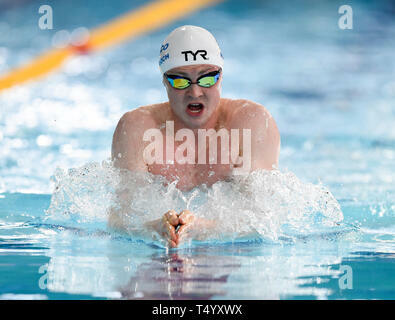 Ross Murdoch on his way to winning his heat of the Men's 200 Breaststroke during day four of the 2019 British Swimming Championships at Tollcross International Swimming Centre, Glasgow. 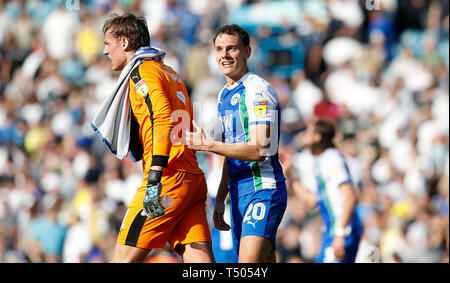 Wigan Athletic goalkeeper Christian Walton and Kal Naismith celebrate after their teams 2-1 win against Leeds United, during the Sky Bet Championship match at Elland Road, Leeds. 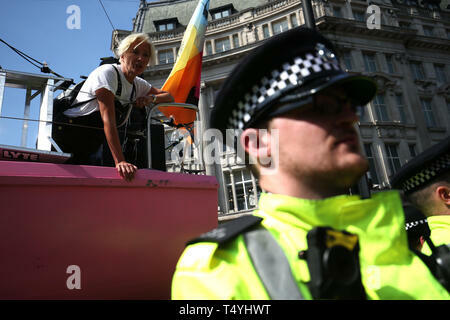 Police prepare to remove Extinction Rebellion demonstrators from the boat at Oxford Circus in London. 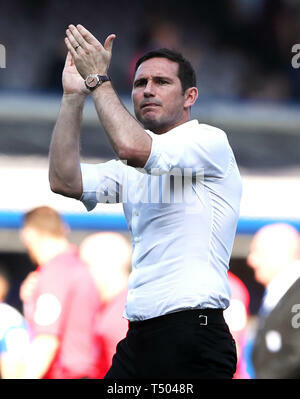 Derby County manager Frank Lampard applauds the fans after the Sky Bet Championship match at St Andrew's Trillion Trophy Stadium, Birmingham. 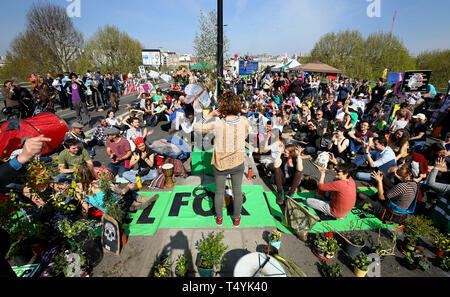 Bristol City's Famara Diedhiou has a shot at goal during the Sky Bet Championship match at Ashton Gate Stadium, Bristol. 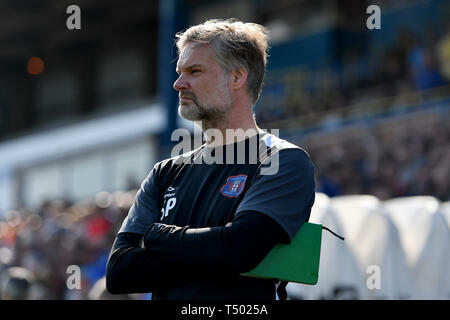 Carlisle United manager Steven Pressley during the Sky Bet Championship match at Brunton Park, Carlisle. 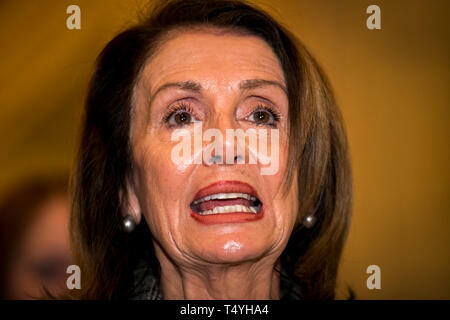 Nancy Pelosi, speaker of the United States of House of Representatives during a press conference in the Great Hall at Parliament Building in Northern Ireland. 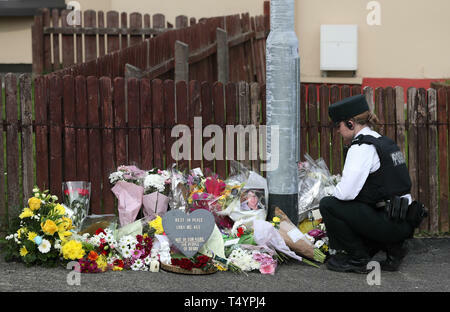 A woman carries flowers to the scene in Londonderry, Northern Ireland, where 29-year-old journalist Lyra McKee was shot and killed when guns were fired and petrol bombs were thrown in what police are treating as a 'terrorist incident'. 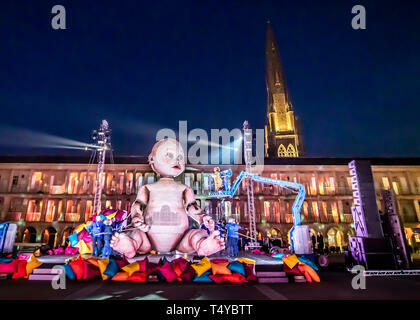 A dress rehearsal for Zara, a huge outdoor theatre production featuring a Giant baby, at the Piece Hall in Halifax, Yorkshire. 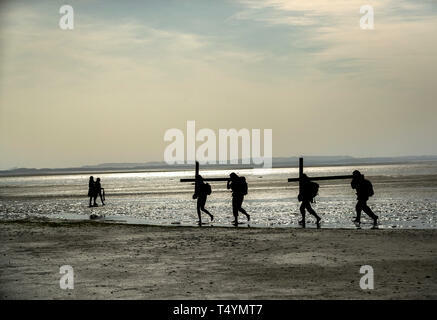 Sheffield United's Mark Duffy (right) celebrates scoring his side's first goal of the game with Jack O'Connell during the Sky Bet Championship match at Bramall Lane, Sheffield. 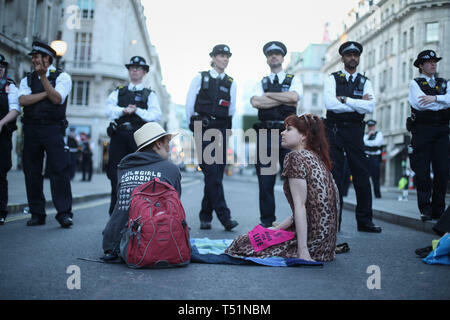 Extinction Rebellion demonstrators hold a community meeting on Waterloo Bridge in London. 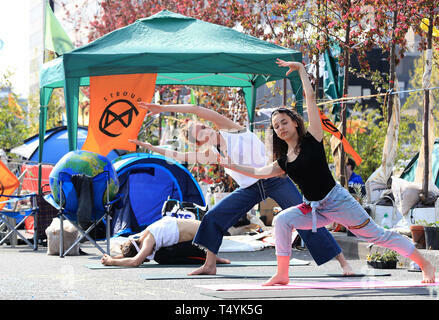 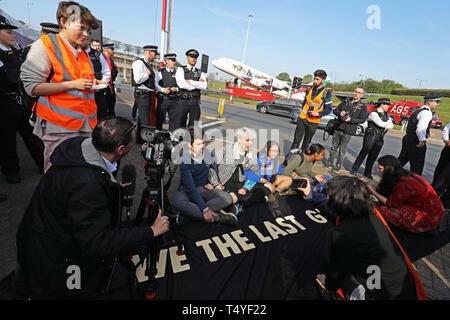 Extinction Rebellion demonstrators at London Heathrow airport. 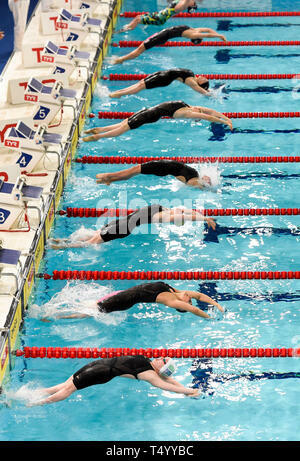 Swimmers in heat 7 enter the water in the Women's 200m Backstroke during day four of the 2019 British Swimming Championships at Tollcross International Swimming Centre, Glasgow. 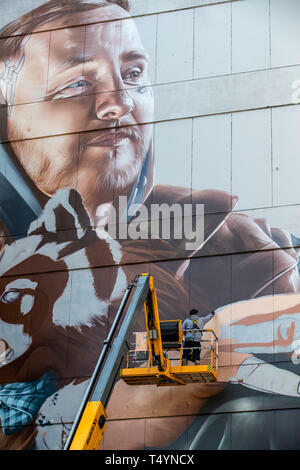 Street artist Sam Bates, aka Smug, creates a new mural for this year's Nuart Aberdeen Festival. 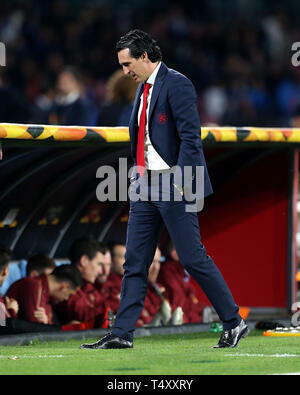 Arsenal manager Unai Emery during the UEFA Europa League quarter final second leg match at the San Paolo Stadium, Naples. 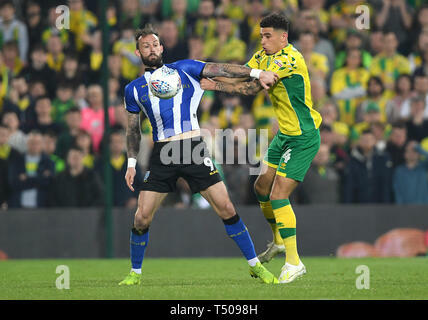 Sheffield Wednesday's Steven Fletcher (left) and Norwich City's Ben Godfrey battle for the ball during the Sky Bet Championship match at Carrow Road, Norwich. 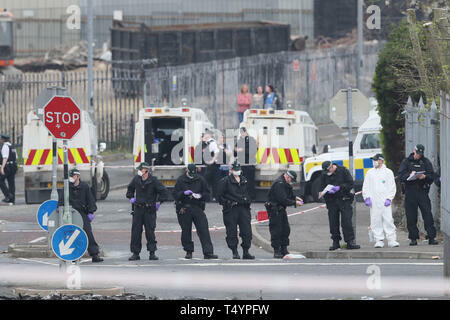 The scene in Londonderry, Northern Ireland, following the death of 29-year-old journalist Lyra McKee who was shot and killed when guns were fired and petrol bombs were thrown in what police are treating as a 'terrorist incident'. 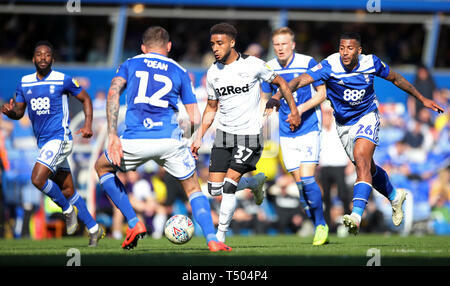 Derby County's Jayden Bogle (centre) in action during the Sky Bet Championship match at St Andrew's Trillion Trophy Stadium, Birmingham. 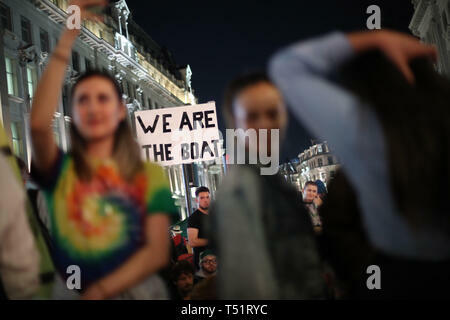 Police surround the Extinction Rebellion boat as Emma Thomspon (left) joins demonstrators at Oxford Circus in London. 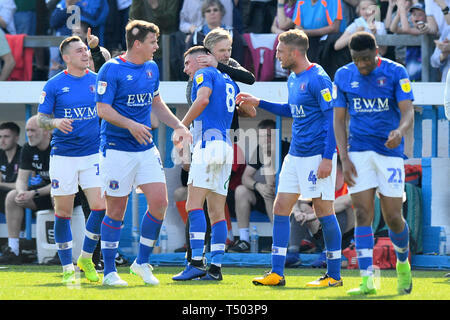 Carlisle United's Mike Jones celebrates with Carlisle United manager Steven Pressley after scoring his side's first goal of the game during the Sky Bet Championship match at Brunton Park, Carlisle. 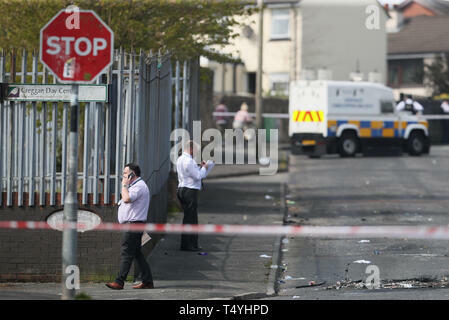 Police detectives at the scene in Londonderry, Northern Ireland, where 29-year-old journalist Lyra McKee was shot and killed when guns were fired and petrol bombs were thrown in what police are treating as a 'terrorist incident'. 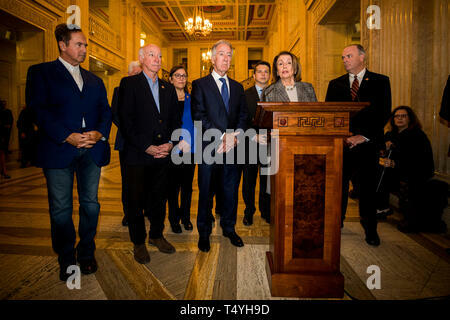 Nancy Pelosi (standing at podium), speaker of the United States of House of Representatives with Richard Neal (centre) Chair to the House Ways and Means Committee, and members of an American delegation during a press conference in the Great Hall at Parliament Building in Northern Ireland. 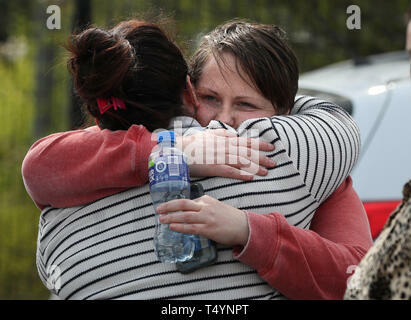 Sara Canning (right), the partner of 29-year-old journalist Lyra McKee at a rally in Londonderry, Northern Ireland, following her death last night after guns were fired and petrol bombs were thrown in what police are treating as a 'terrorist incident'. 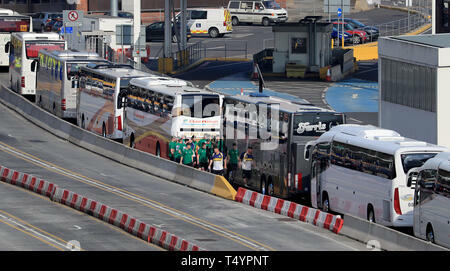 Cars and coaches at the Port of Dover in Kent, Good Friday will be the busiest Easter holiday travel day as many people make the most of the long weekend. 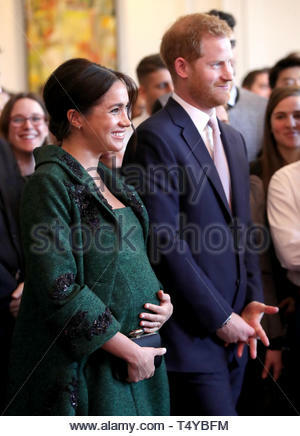 File photo dated 11/03/19 of The Duke and Duchess of Sussex. 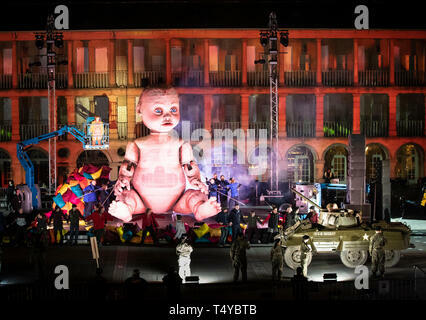 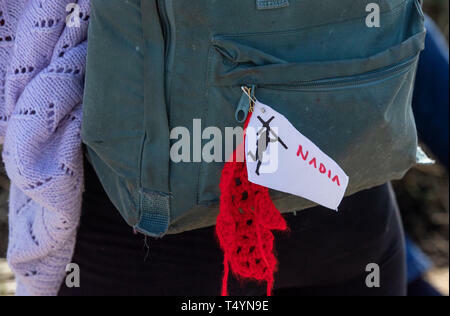 Royal fans are waiting in anticipation to see whether the couple's baby puts in an appearance over the Easter weekend. 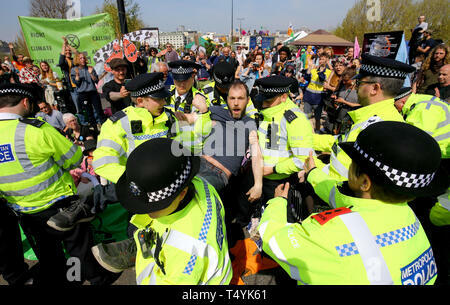 Sheffield United's Mark Duffy (right) and Nottingham Forest's Claudio Jacob battle for the ball during the Sky Bet Championship match at Bramall Lane, Sheffield. 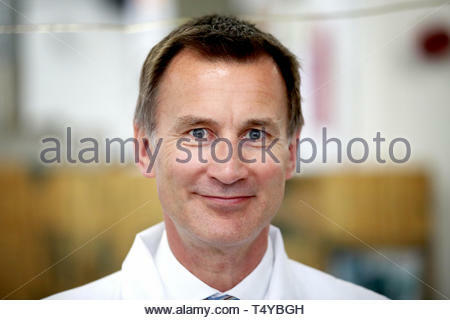 Embargoed to 0001 Saturday April 20 File photo dated 07/03/19 of Foreign Secretary Jeremy Hunt, who has used an Easter message to raise the plight of persecuted Christians around the world. 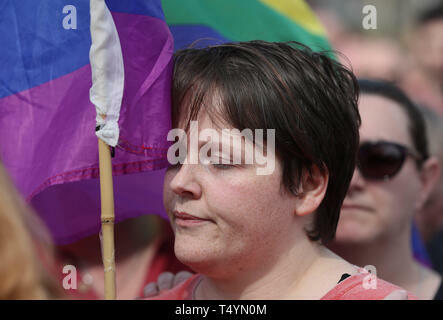 Sara Canning, the partner of 29-year-old journalist Lyra McKee at a rally in Londonderry, Northern Ireland, following her death last night after guns were fired and petrol bombs were thrown in what police are treating as a 'terrorist incident'. 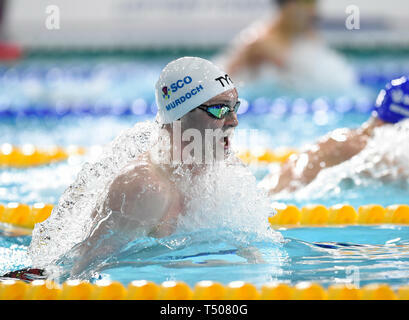 Ross Murdoch competing in the Men's 200m Breaststroke final during day four of the 2019 British Swimming Championships at Tollcross International Swimming Centre, Glasgow. 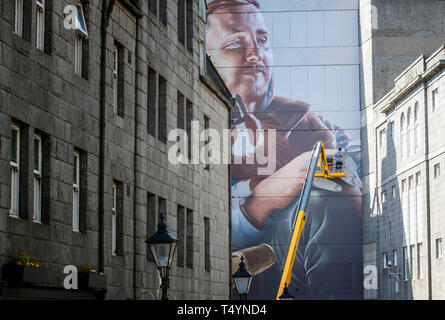 Pearl Cameron, 68, one of the 'Graffiti Grannies' that took part in an over-65s street-art workshop at this year's Nuart Aberdeen Festival. 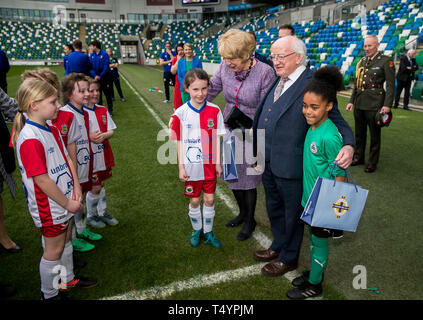 Irish President Michael D Higgins and his wife Sabina Coyne at pitch side in the National Stadium at Windsor Park, Belfast, meeting players from the Cliftonville and Linfield U9 girls' teams. 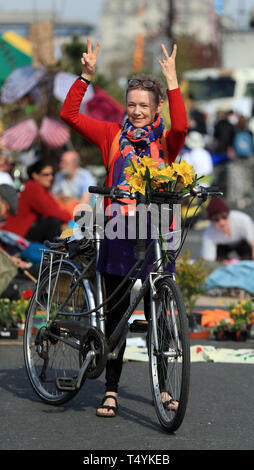 Prime Minister Theresa May acts as a marshal during the Maidenhead Easter 10 race in maidenhead. 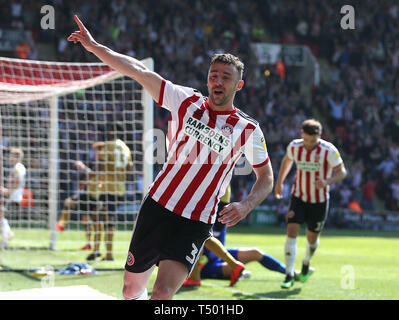 Sheffield United's Enda Stevens celebrates scoring his side's second goal of the game during the Sky Bet Championship match at Bramall Lane, Sheffield. 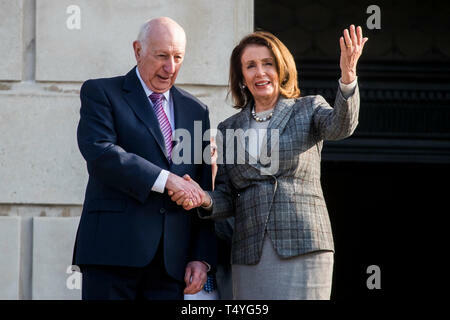 Nancy Pelosi, speaker of the United States of House of Representatives looks out onto Stormont Estate as she is greeted by Robin Newton, Speaker of the Northern Ireland Assembly, on the steps of Parliament Buildings in Belfast. 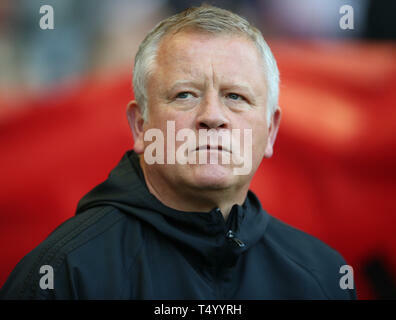 Sheffield United manager Chris Wilder during the Sky Bet Championship match at Bramall Lane, Sheffield. 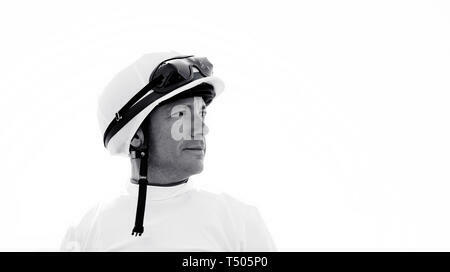 Frankie Dettori, jockey during All Weather Championships Finals Day at Lingfield Park Racecourse. 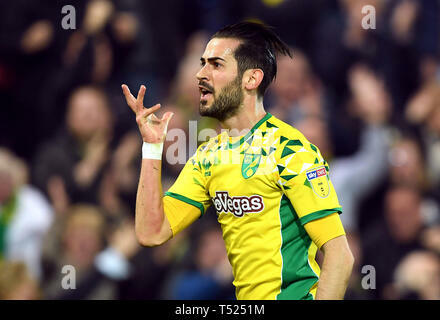 Norwich City's Mario Vrancic celebrates scoring his side's second goal of the game during the Sky Bet Championship match at Carrow Road, Norwich. 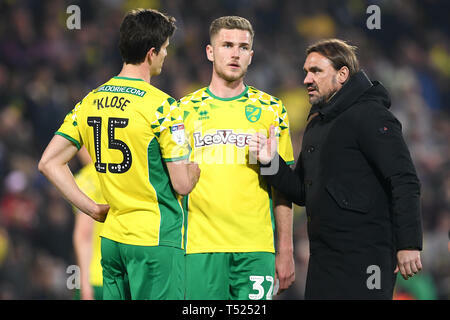 Norwich City manager Daniel Farke (right) celebrates with players Timm Klose (left) and Maximillian Aarons after the final whistle during the Sky Bet Championship match at Carrow Road, Norwich. 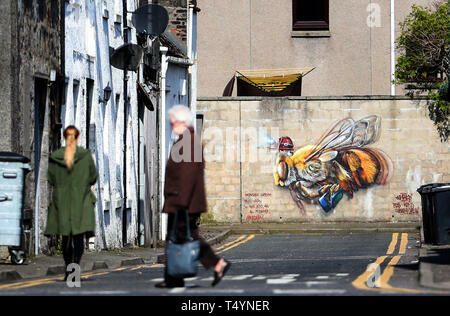 A piece of street art by Andrea Castignino that features in this year's Nuart Aberdeen Festival. 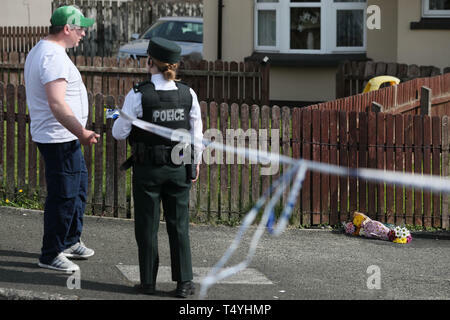 Flowers left at the scene where 29-year-old journalist Lyra McKee was shot last night in Londonderry, Northern Ireland, after guns were fired and petrol bombs were thrown in what police are treating as a 'terrorist incident'. 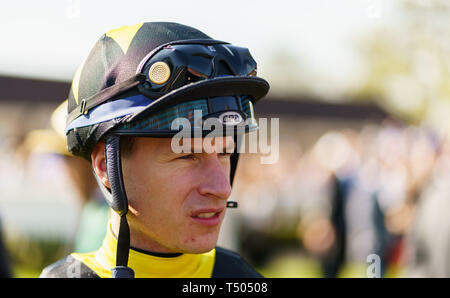 Richard Kingscote, jockey during All Weather Championships Finals Day at Lingfield Park Racecourse. 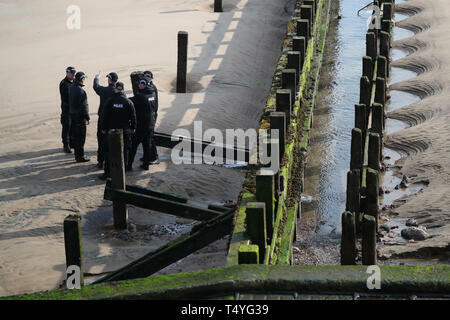 A police search team at work on Aberdeen beach where two people were pulled from the sea by the RNLI and taken to hospital where they died. 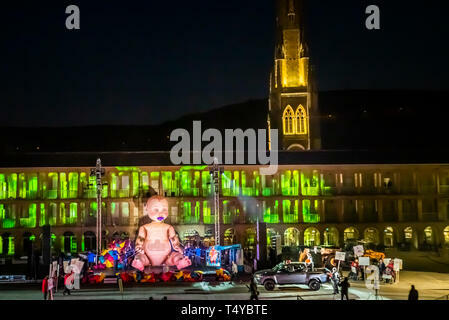 Emergency services were called to the scene in Aberdeen in the early hours of Friday following a report that two females were in the water. 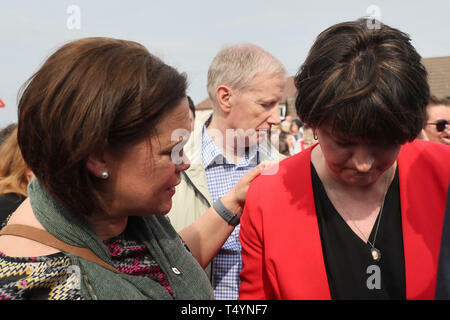 Sinn Fein Leader Mary Lou McDonald (left), DUP leader Arlene Foster (right) with Sara Canning (centre), the partner of 29-year-old journalist Lyra McKee, at a vigil in Londonderry, Northern Ireland, following her death last night after guns were fired and petrol bombs were thrown in what police are treating as a 'terrorist incident'. 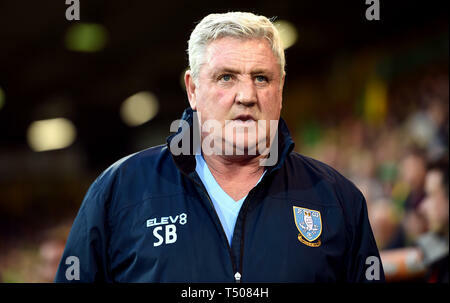 Sheffield Wednesday manager Steve Bruce prior to kick-off during the Sky Bet Championship match at Carrow Road, Norwich. 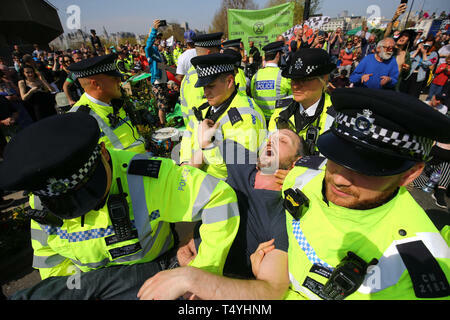 One of the last remaining Extinction Rebellion demonstrators, who glued himself to the mast of 'Tell the truth' boat, about to be detached by police in Oxford Circus, London. 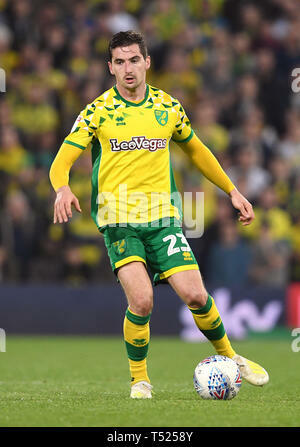 Norwich City's Kenny McLean during the Sky Bet Championship match at Carrow Road, Norwich. 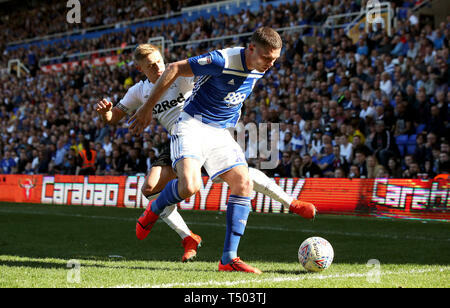 Derby County's Martyn Waghorn (left) and Birmingham City's Harlee Dean battle for the ball during the Sky Bet Championship match at St Andrew's Trillion Trophy Stadium, Birmingham. 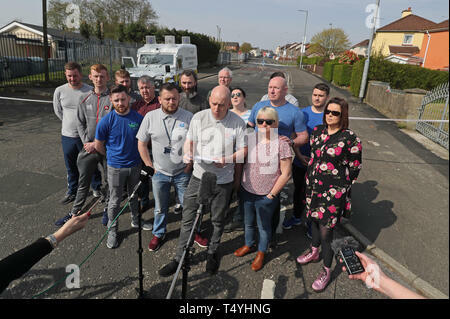 George McGowan speaks on behalf of members of the community at the scene in Londonderry, Northern Ireland, where 29-year-old journalist Lyra McKee was shot and killed when guns were fired and petrol bombs were thrown in what police are treating as a 'terrorist incident'. 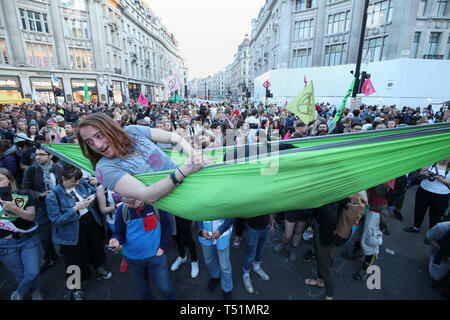 Actress Emma Thompson joins Extinction Rebellion demonstrators at Oxford Circus in London.